Cities today each face the same challenge to recruit new residents, new businesses and industries, retirees, tourists, and others to each community while keeping those already there engaged. 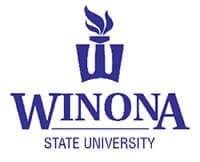 The City of Winona faces these same challenges which is why Winona leaders are launching an effort to encourage investment in the downtown area that will create new jobs, housing, and commercial activity to benefit the entire community. Opportunity Winona is a new public private partnership focused on significant investments in public spaces and new development in downtown. The partnership brings together resources as never before from a wide array of community businesses, institutions, and governmental entities with a focus on the heart of the city. Winona’s downtown is its connection to its history and the Mississippi River. It is also the way to energize a future vision to make its residents proud, encourage visitors to return, and inspire new businesses and residents set down roots. We are seeking partners to help us to implement projects in our downtown that will enhance the community for generations. This is our chance to create a public and private partnership that will bring together resources, energy, and passion that will result in a level of investment that Winona’s Downtown has not seen in many years. Become a part of this exciting new partnership!